In 2008, Shift115 Worship Collective began as a vision. I was coming out of a season that lacked mentorship and peer-to-peer ministry connections, and so I longed for and envisioned a ministry that could provide that. In the years to follow, God was stirring in me a heart for the Church. 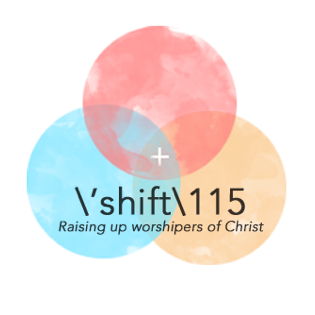 Today, Shift115 is a worship collective that builds unity in the Church through Christ-centered worship, and we provide community, mentorship and connection in more ways than we ever have before. Last fall, we launched a worship school that equips those who are interested or involved in worship ministry. The main process is a nine-month certification for worship leaders that includes weekly group gatherings and one-on-one mentorship. Whether you are a worship leader or an aspiring one, the curriculum covers foundations that are great for beginners as well as continued formation. The weekly classes include prayer, worship and occasional guest teachers and cover topics like identity, humility, spiritual formation, biblical foundations, vocal technique, music theory, songwriting, team dynamics, confidence and planning. If you’re not interested in the nine-month process, you can sign up for one of the many sessions that are open to the public. Interested participants can learn more and sign up at our website (shift115.com). Throughout the year, we have several community worship gatherings. At these gatherings, it’s not just about putting together a great band and inviting churches to join. It’s about working with multiple churches and having leaders, pastors and musicians all come together to teach, share, encourage and equip the body. These community gatherings represent churches of all nations and denominations being unified together in Christ. Our work can look a lot of different ways — retreats, monthly luncheons at the seminary or consulting with churches, for example — but our desire is always to unify the church, and that’s what we continue to do. My wife, Rebekah, and I are extremely grateful to be able to offer this growing ministry to our community. Working together as a team in this ministry has been one of the hardest experiences we have ever been through, but it’s truly been the greatest, too, because we can see how the Lord brought us together uniquely and developed character and patience in us while teaching and unifying the church. We hope people see our heart for building unity and, more importantly, we hope they recognize themselves as worshipers and unifiers in Christ. At Shift115, we always have a place for them to learn and grow. You are welcome here.